Program Computers, or Save the World? It’s a decision many students are faced with as they prepare themselves for the working world: Do you pursue a career in technology (and get paid accordingly)? Or do you travel a more altruistic path, helping people and the environment? It’s a tough decision. But it doesn’t necessarily have to be that way. So what’s the #1 “under-the-radar” career? 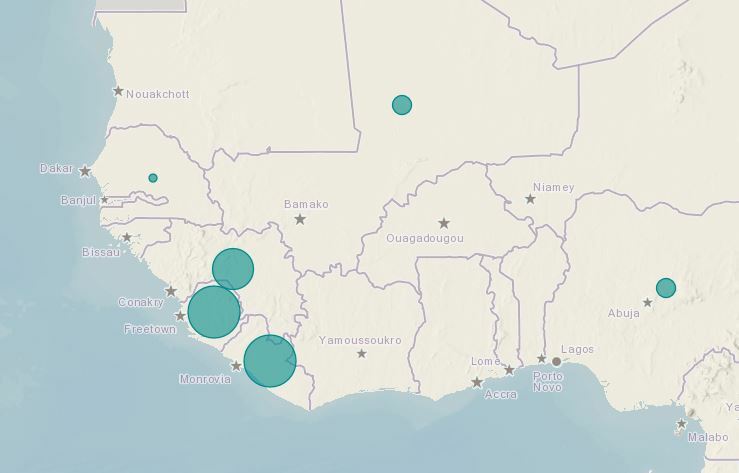 Simple stated, a geographic information system (GIS) is a technology platform that helps us visualize, question, analyze, and interpret data to understand relationships, patterns, and trends. GIS benefits organizations of all sizes and in almost every industry. And while GIS technology has been around for many decades, there is a growing interest in and awareness of the economic and strategic value of GIS. Because geography is such an important factor in almost everything we do, GIS can be used in a variety of ways in every organization and every discipline. For example, public safety personnel use GIS to support emergency response and planning. Health organizations can use GIS to leverage limited resources and positively impact individuals, families, and society. And natural resource professionals rely on GIS to help make critical decisions as they manage the earth’s precious resources. 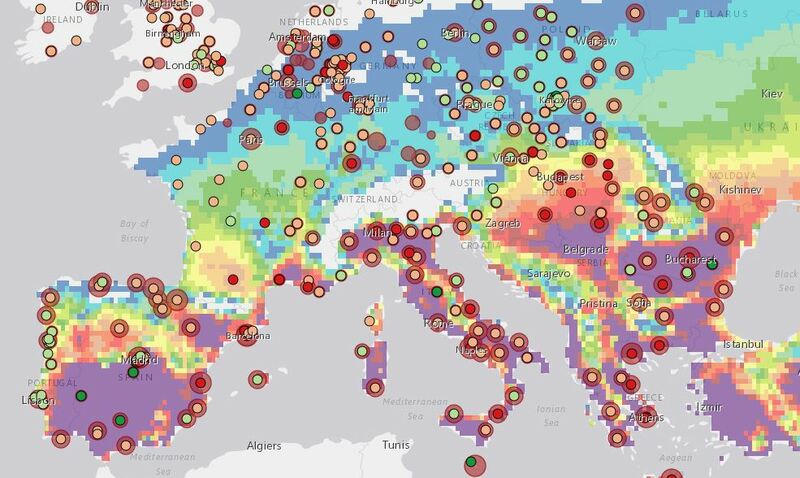 This web map on heat wave risk mashes up data from the European Environment Agency, EUROSTAT, and the Swiss Institute for Atmospheric and Climate Science. For students thinking about a career that combines technology with making a positive impact on society, the #1 “under-the-radar” career of GIS Analyst/Technician just might be the best of both worlds. Why is GIS a hot new career? Previously the domain of the professional mapping community, GIS has now become so ubiquitous and easy to use that the only prerequisite is a desire to better understand online mapping and a roll-up-your-sleeves attitude. The phenomenal growth of consumer web mapping has opened the eyes of the world to the value of maps and geography and created an audience ready for more sophisticated spatial analysis and geographically oriented storytelling. 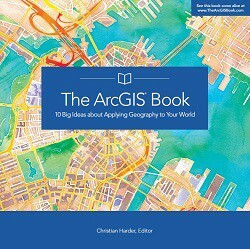 To get started, check out The ArcGIS Book: 10 Big Ideas about Applying Geography to Your World. 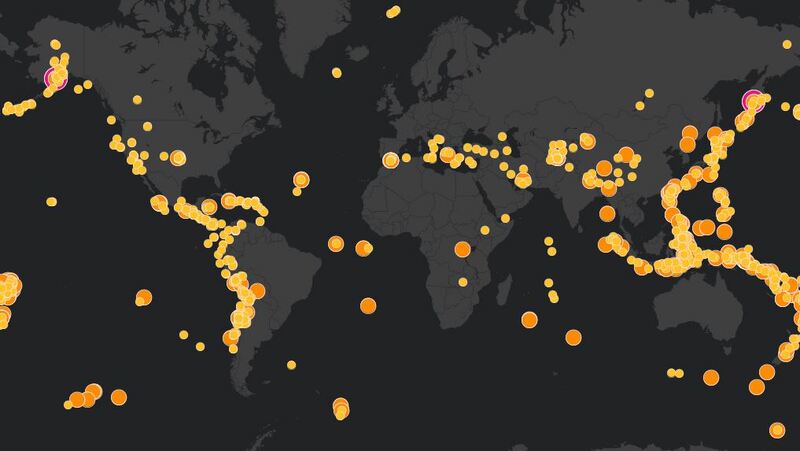 ArcGIS is more than just mapping software running online. It’s actually a complete system for discovering, consuming, creating, and sharing geographic data, maps, and apps designed to fulfill particular objectives. The twin goals of this book are to open your eyes to what is now possible with Web GIS, and then spur you into action by putting the technology and deep data resources in your hands via the Quickstarts and Learn ArcGIS lessons that are included in each chapter. By the end, if you complete all of the exercises, you’ll be able to say you published web maps, used story maps, built a 3D cityscape of Venice, Italy, configured a custom web app, performed sophisticated spatial analysis, and much more. The book is available through Amazon.com and other booksellers, and also at www.TheArcGISBook.com for free!